Pretty, no? The cakes themselves are based on simple sponge cake recipe that I've been using for various creations since I was old enough to turn the oven on by myself (the trick is to use one egg to every 2oz of butter, sugar and flour), and I've iced them with a white chocolate buttercream. I've used gel/ paste colours here, as they're more vibrant and don't water down the mixture like your regular liquid food colourings would do. About seven years ago, I made a rainbow angel cake for the first time, and then a couple of years later I tried it again. 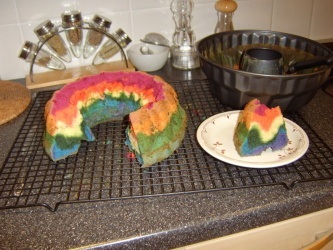 This was back when there weren't many rainbow cakes around, either because people weren't making them or they just weren't putting pictures up. In any case, I noticed that a little while after I made my second one, everyone seemed to be doing it! It was great: I love colourful stuff, I love cake, and I like looking at cake for inspiration. I wanted to try again, but this time I didn't want to go to the trouble of making an angel cake, and I wanted cupcakes. Would the colours work with an ordinary cake mixture with egg yolks and butter? The answer is yes: as long as you cream the butter until very fluffy and white. You could also whisk the egg yolks and whites separately for more whiteness, but I didn't bother. This recipe made about 19 cupcakes (it was hard to get an even or sensible number because layering the colours evenly was tricky). 2. Cream the butter and caster sugar together until it's white and fluffy. Use a wooden spoon if you want to tone some arm muscles, or an electric whisk to make your life easier. 3. Now whisk your eggs in one by one (the egg whites can cause the fatty butter and sugar mixture to seize and curdle, and the eggs are easier incorporated when added one at a time rather than than all at once). 4. Whisk in your flour (you won't need extra baking powder with self raising or you're going to get peaked cupcakes, which are harder to frost prettily), and once the batter's smooth you can whisk in the milk and vanilla. 5. Now separate your cake batter equally into separate bowls to colour them individually. Watch out if you're using gel colour- a little goes a long way. Now, with your cupcake pan lined with cases, put a small teaspoon of each colour into each case, layer by layer/ one by one (as you can see from my photos, I didn't manage to layer them as successfully as when I made the big rainbow cakes). 6. 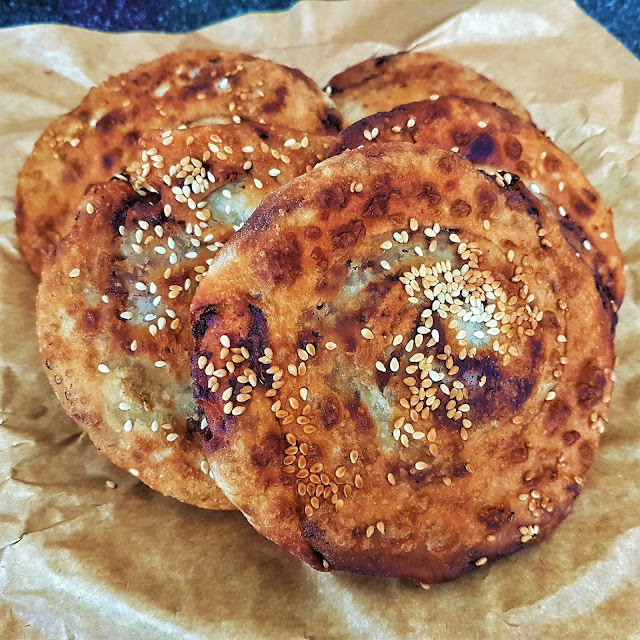 Bake these in your preheated oven until they spring back when you poke them (about 15-20mins), then take them out to cool completely (don't cheat, if you try to frost these when they're warm, the frosting will just melt into a sticky gooey mess). 7. If you haven't melted your white chocolate yet, do it now. You can either do this in a heatproof bowl over a pan of gently simmering water, or, if you're careful, in the microwave in short bursts (I use the microwave). Once it's melted, let it cool until it's no longer warm to touch at all- if you don't, as soon as you add it to the buttercream, it'll melt everything and you'll have an unsalvageable mess: so be patient. 8. Cream together your sofened butter and icing sugar until light and fluff- you might want to add the icing sugar in bit by bit, or you might end up covered in it. Once it's all smooth and light, add your cooled white chocolate and whisk it in thoroughly. 9. Now the fun part! You get to decorate your cupcakes (are they cool? Yes? Then go for it). Use your piping bag to swirl the frosting on like an ice-cream sundae, sprinkle your sprinkles, dot a cherry on and poke a chocolate finger half into the top. 10. Stand back and admire. Now eat and enjoy.